We get the question all the time as people walk by on the city sidewalk. Yes, it is a chicken. And, in fact, we have ten of them. When we bought our house in the city with the extra side lot attached (take the yard tour here), we didn’t intend to raise any animals. 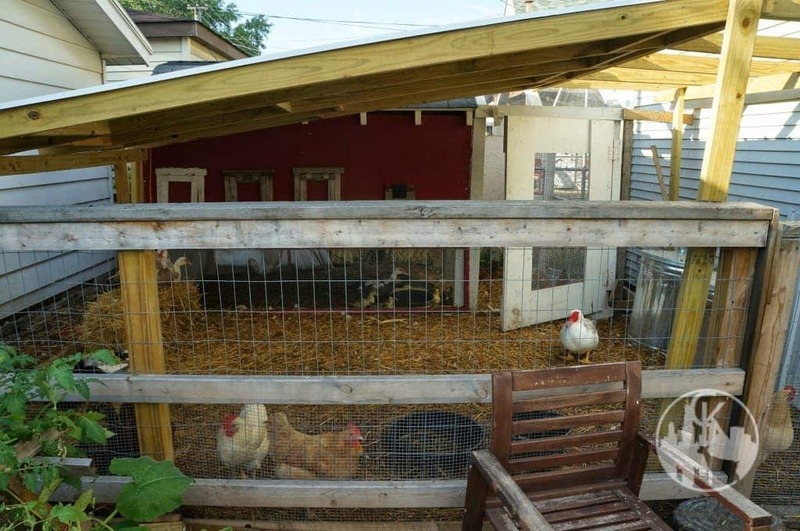 But less than a year into living there, we met some friends in the city who had a chicken coop in their yard. Since we were already starting to become interested in where our food was coming from, keeping chickens in the city for our own fresh eggs really intrigued us. We learned that in Chicago, there aren’t any restrictions on keeping chickens, as long as you comply with their sanitation guidelines. We had the space, our neighbors liked us, and always up for an adventure, we dove right in. We bought the chicks in the early spring, housing them in a plastic tub with a heat lamp and wood shavings until they were old enough to withstand outdoor temperatures. We built the coop once the ground was fully thawed, and in no time our curious and spunky pullets quickly became the neighborhood celebrities. Late that summer, we started collecting our first eggs. Keeping chickens in the city can be a lot of fun and very rewarding. 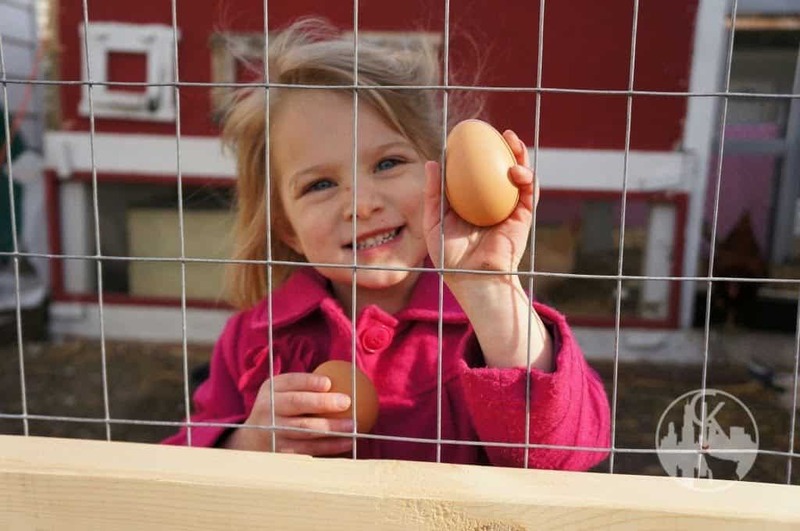 We love that our city dwelling family can be more connected to the food chain by having our own fresh egg supply. 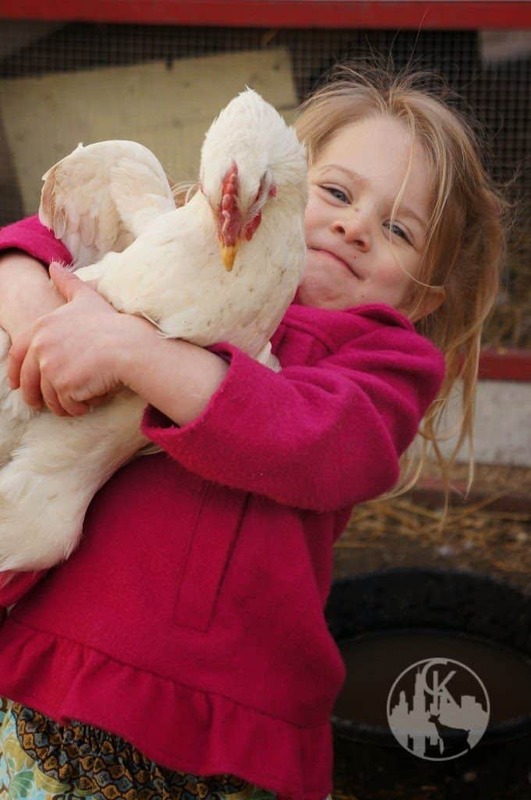 At the same time, we are also teaching our children responsibility in caring for our animals as well as the importance of knowing and caring about where their food comes from. The number one question you want to be asking is what your particular city has to say about keeping chickens. Although Chicago allows chickens, many of the surrounding suburbs either don’t allow chickens, or have tighter restrictions on what you can do. If you choose to live in the city, it’s important to be living in accordance with the city ordinances. Do your research first. If chickens are specifically prohibited in your city, quails or ducks may be an option. Chickens need a coop. The first year we kept chickens, we let them run around our yard and be (relatively) free to graze. Unfortunately, our gardens also fell under the chicken’s definition of “graze.” This year, we created a fenced in yard around the coop for the chickens to enjoy the outdoors without our gardens being under constant attack. But regardless of where the chickens roam, they still need a draft free area to roost and lay their eggs. Look at your outdoor space. How much square footage do you have? Would a small coop fit? Also consider city ordinances on setbacks, if a permit is required to build your coop, etc. If you live on a large piece of land out in the country, the aesthetics of an outbuilding may not be high on the priority list. BUT, if you live in the city, aesthetics are EVERYTHING. In the city, most of our houses and yards are separated from the neighbors’ houses and yards by only a few feet. Not only that, but unless you have a privacy fence, every curious person who walks by and sees a chicken hopping around is also going to be looking in. Personally, I would rebuild our coop if we had the time and money to do it. While it does its job well, and it is hidden from the street, there are a lot of things I would change about it, both aesthetically and when it comes to functionality. Take the time to plan your coop’s design to fit in with your surroundings, and also be pleasing to the eye. 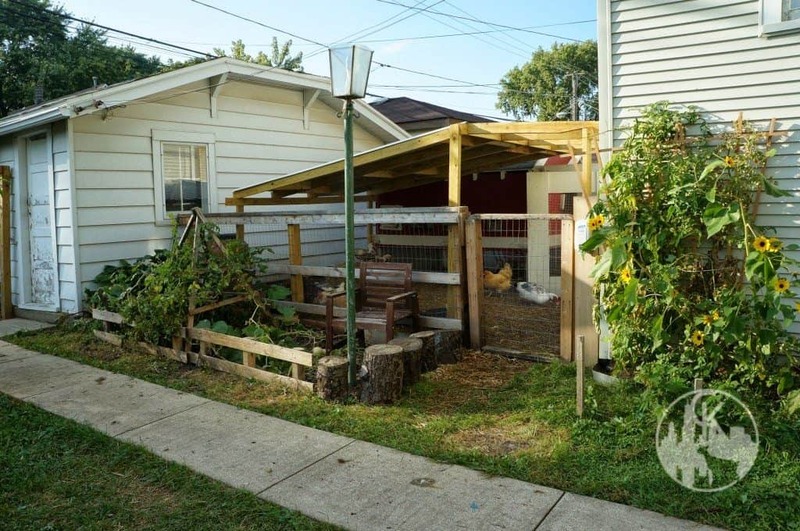 You don’t have to go over your budget when building the coop, but keep these things in mind during the planning stage and you will be able to build a coop that can be very simple, budget friendly, and yet aesthetically pleasing. 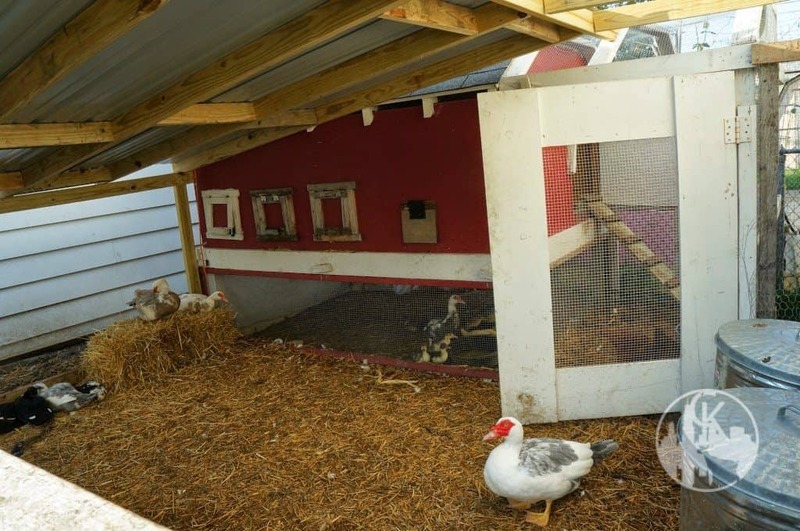 If you have a larger budget to work with, and you prefer not to build from scratch, you can also buy complete kits for building chicken coops, and the design options seem endless. This is a big one. If your neighbors complain about your chickens, they can call streets and sanitation out to your yard for an inspection. In my opinion, it is a good idea to chat with your neighbors first before jumping into buying that first box of baby chicks. It could save you from losing your flock later! Tell them your ideas, show them your coop plan, assure them that you will be in compliance to the city ordinances, and promise them cartons of your own fresh eggs. And then make sure to follow through with that promise and give them a dozen eggs every month or so as an act of your appreciation. We talk to our neighbors often and ask if anything about our chickens or the coop is bothering them. It shows them that we care and are approachable if there is ever an issue. I would rather my neighbors come to me with a complaint than to the city with a complaint. You live in the city? Forget keeping a rooster. I wouldn’t even try it. Some chicken keepers here in the city do, but after having a rooster myself, I think it’s just plain rude. Roosters are loud, and city space is small. We got stuck with a few roosters in the past that arrived in our chick box and we decided to try and keep them. Though absolutely gorgeous, once they started crowing, they couldn’t be stopped. We tried a rooster box, a crow collar, and the crock pot. The crock pot won. If a neighbor gets tired of hearing your rooster crow at all hours of the day, they have the freedom to call the city, which can then land you in trouble. Happy neighbors equals happy chickens. Keep yourself and your flock of hens on the safe side, and dream of roosters out in the country someday. But today, dear City Dweller, is not that day. Chickens need to eat. 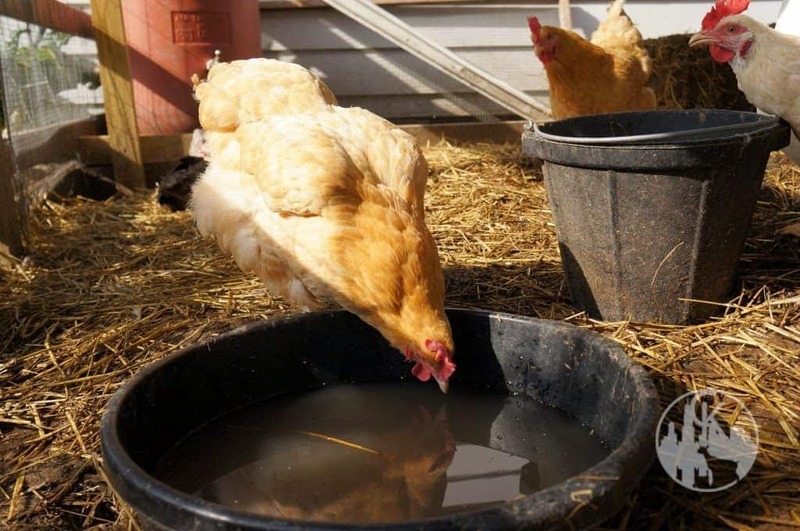 While we feed our chickens all of our edible kitchen scraps, they are city birds now and don’t have access to a pasture full of plants and bugs. To get the vitamins, minerals, and protein that they need to be healthy birds and have optimal egg quality, city chickens need an additional food source. Thankfully, in Chicago there are enough chicken keeping city folks around to support a small feed store a few miles from us. We buy our chickens bags of layer feed there or at another feed store whenever we happen to be out in the country. Make sure you have a consistent source for your layer feed. There are a number of options including making a trip out to the country to get feed on a monthly or bi-monthly basis. There are also services in Chicago that will deliver the feed for a small surcharge. If you don’t have a feed store, check at an independent pet supply store. Sometimes a pet supply store will agree to place a personal order for you. Again, this is something that you want to have in place before you buy your chicks. City predators are going to look different that country predators. While we may have the occasional raccoon or opossum who gets bored searching in the garbage can and spots your chickens, we don’t have the foxes or coyotes to worry about here. Our main concern? The neighbor’s dogs. An unleashed dog can jump your fence and kill off a few chickens in under a minute. We lost a few chickens this last winter to a black lab who jumped into our yard uninvited. Be prepared for the predators. Keep your chickens shut safely in the coop at night and get them care during longer absences. With all there is to consider in keeping chickens in the city, some might ask, why even bother? 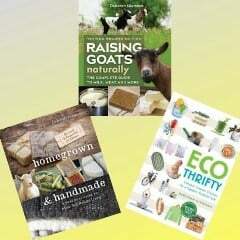 Eggs aren’t that expensive to begin with and we certainly aren’t saving money by doing it ourselves. True, you probably won’t save any money. In fact, the price of your eggs compared to the grocery store is now exponentially higher, since you’re now providing care to the bird. So why do we do it? It probably is true that we are a little crazy. We also think that the fresh eggs from our chickens are the best tasting eggs we’ve ever had (in all honesty). We love knowing exactly how our birds (who make our eggs) are being treated and the care and nutrition they are receiving (since we control both!). And our kids are in love with the chickens. Turns out, city chickens make great pets! They never come in the house (win for me! ), and the kids can hug them to their hearts’ content! Not only that, but keeping chickens in the city has opened up friendships with the neighbors that weren’t there previously. 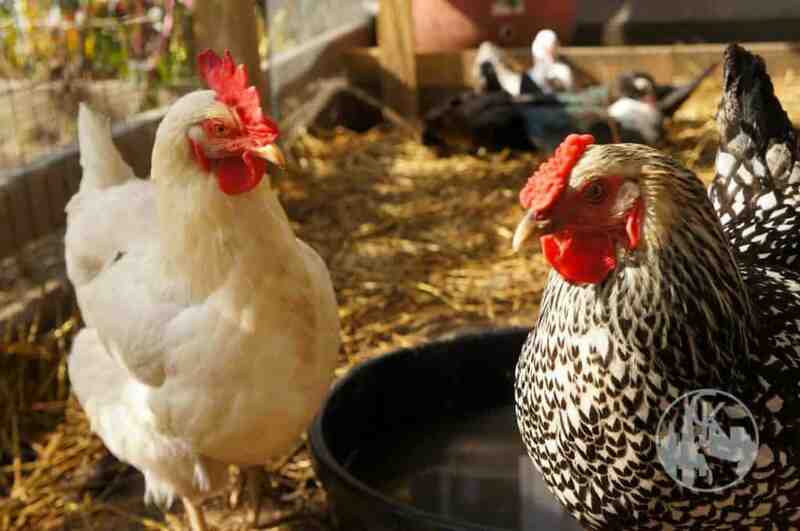 It educates and inspires other city dwellers and their kids, many of whom have never seen a live chicken before! That alone makes it worth it for us to keep chickens in the city. Eric and Beth live in the city of Chicago on 1/10th of an acre. 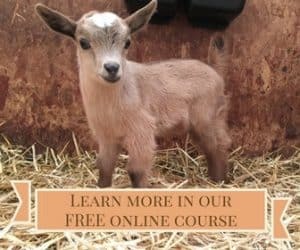 In addition to chasing around their city chickens, they also raise urban dairy goats, muscovy ducks, quail, and five children under the age of five. Read more about their urban farming endeavors and crazy animal stories at citykidsfarm.com. I have been looking for a hatchery in the Chicagoland area (we actually live in New Lenox, but will travel), but to no avail. Do you have any knowledge of one? I would prefer to go to the place and choose instead of risking their little lives during shipment. I am primarily looking for silkies, but would also like a couple of friendly layers.